Hi to all! Ready for a New tutorial? 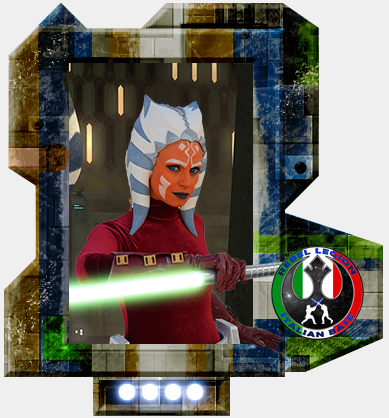 My Ahsoka Tano from season 2 ep 2 "cargo of Doom" it's approved and i love to explain you how i made this new comfort costume! so Let's start! 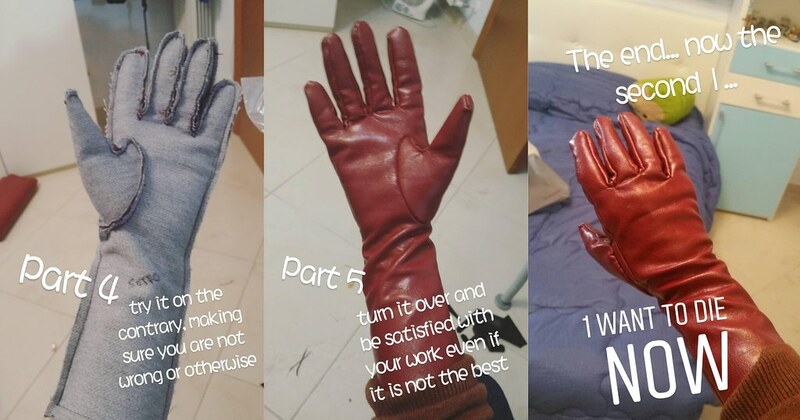 The craziest thing I've evere made...since I wanted them identical to the fabric of the bracers I decided to sew them by hand, but if you have the chance to find them of the same color and already made, buy them! Chosing the options: custom sizes, without hood and hands and I asked in the order details for an inner zip. 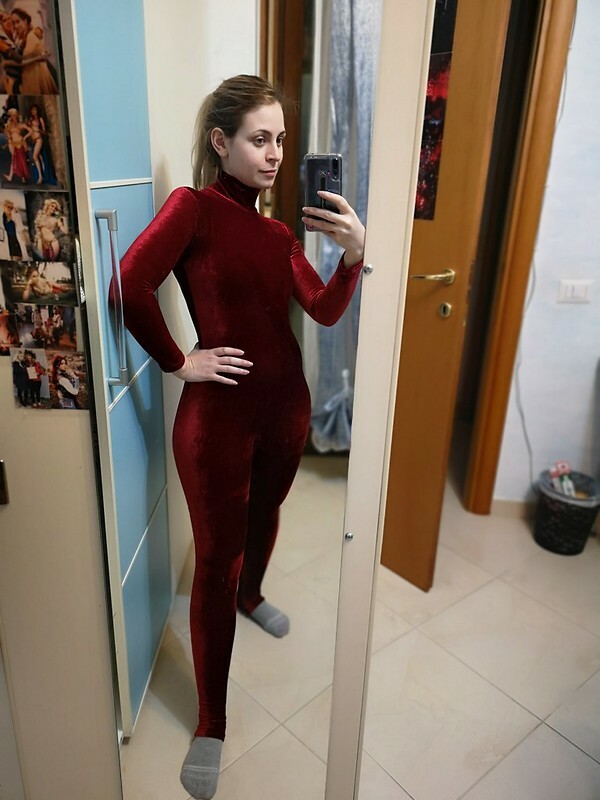 When I tryed it for the first time the crotch height was very low because there were also feet attatched at the bodysuit, with a small sartorial change I removed the feet and the crotch height went up and fit me perfectly. 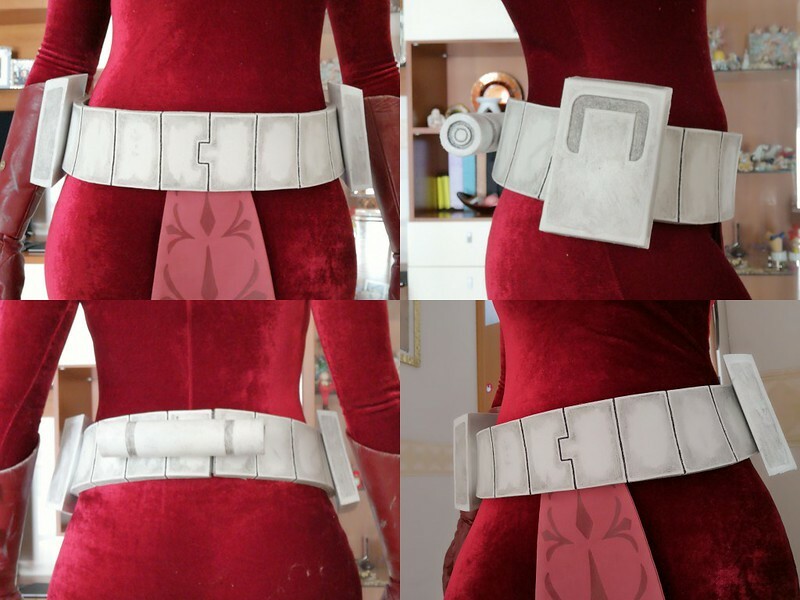 1) Whear your bodysuit (or something similar), wrap the waist with transparent film, cover it with paper tape enough to draw a draft belt. 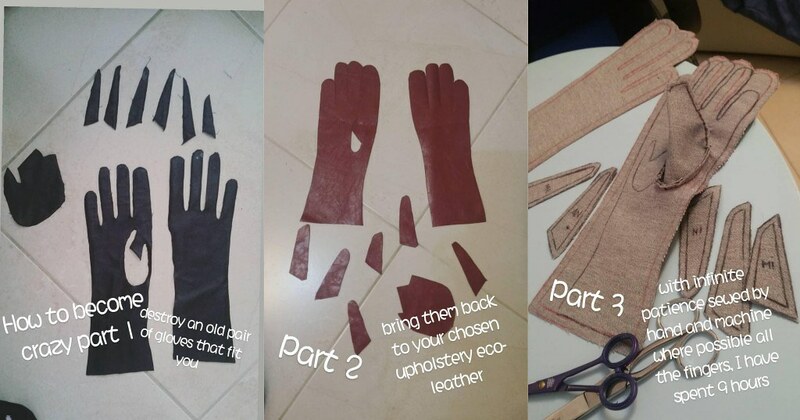 2)Cut on the back and lay it out on paper and copy the shape, adjusting where it is needed. 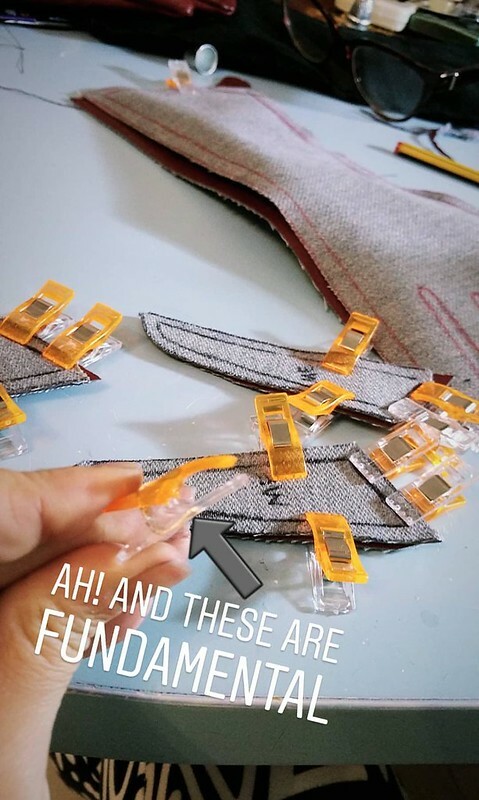 Try the new pattern on you if it fit good. 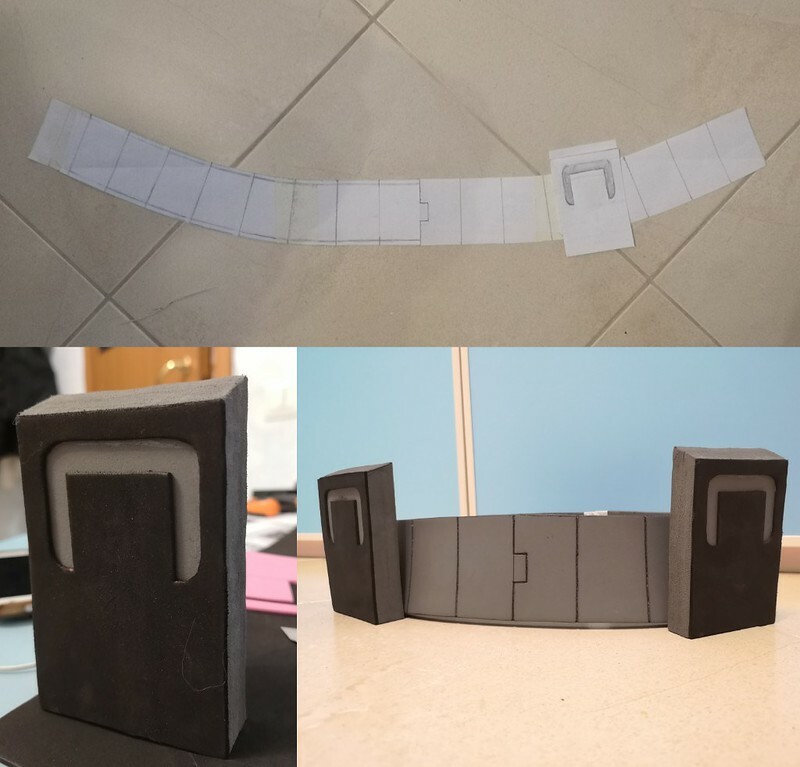 To make the boxe I always made the paper pattern and I tried it on the belt to see if it could be ok with the proportions, I cut 2 foam faces of 1cm and highest 12,5cm, 1 of foam 2mm where I made the hole and I glued all. To make The gap i signed in the outer face with the hole a difference of 1cm and I scratched away with a dremel the flat surface to make it tilt. Same with the other boxe. To color everything I used 2 cans of plastidip. 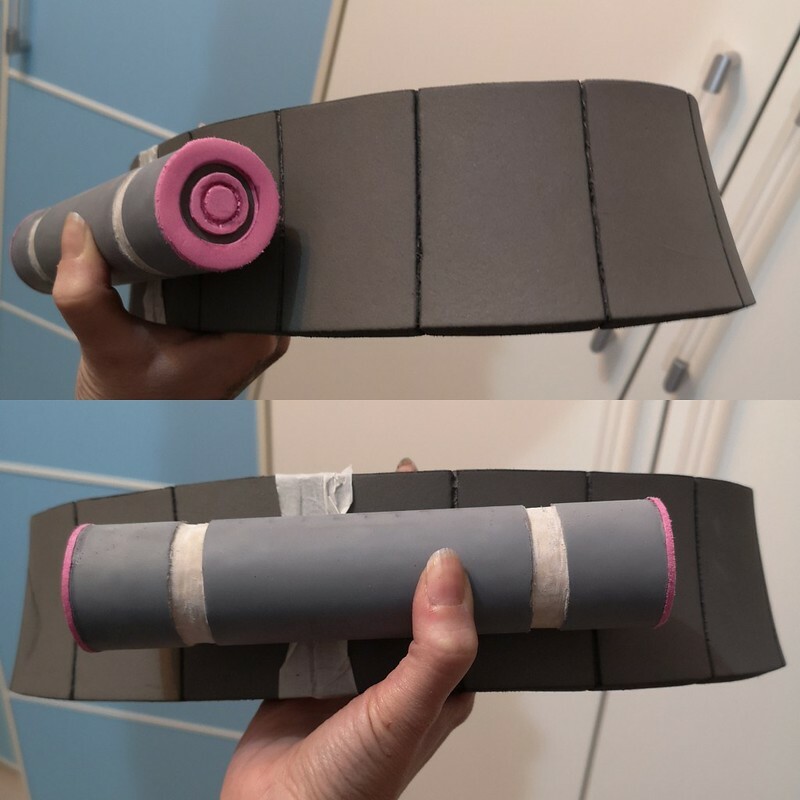 It is really not very covering, so I used a lot, but it remains elastic on the foam and doesn't risk to crack when you widen the belt to put it on and take it off. 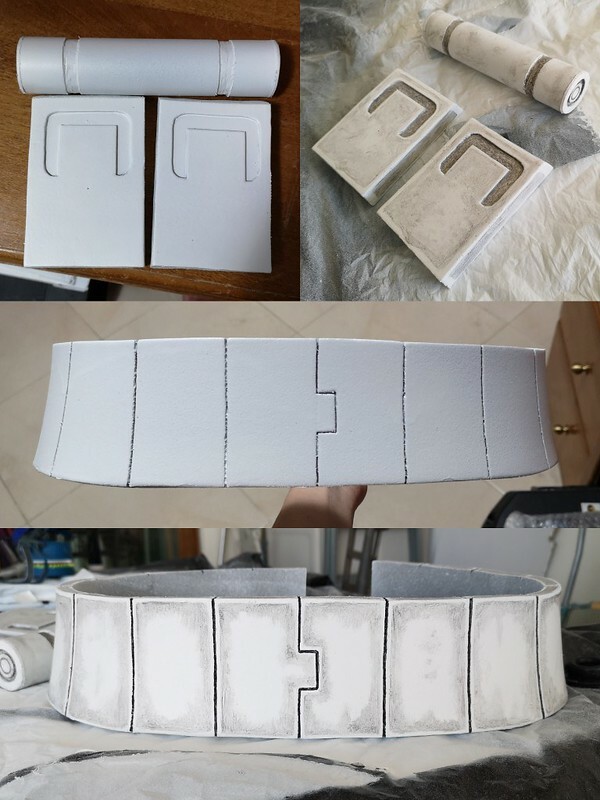 For the dirtying I used some simple light gray acrylic with an old brush and a sponge( following the reference), to make greater depth to the grooves of the belt I painted them black with a tiny brush. 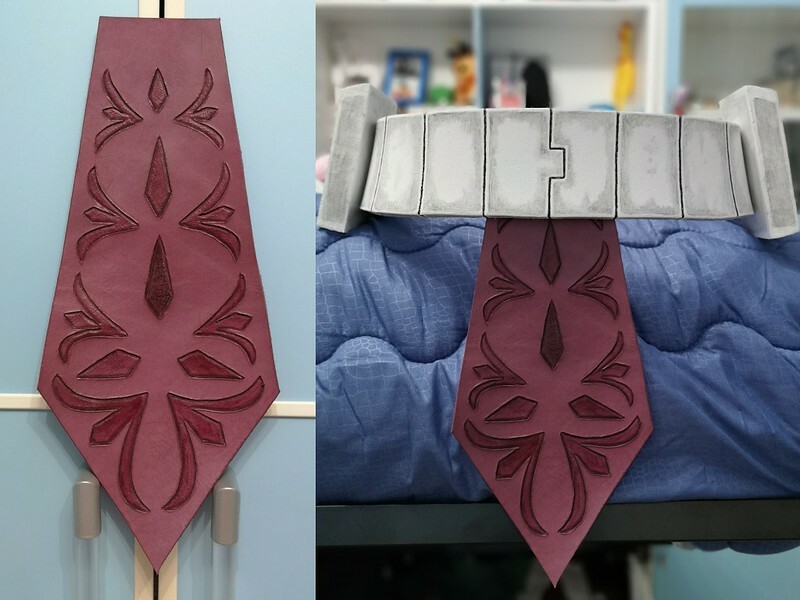 In the end I sprayed an elastic protective transparent opaque for plastic and I glued with "Attack" all the pieces to the belt in the right positions. 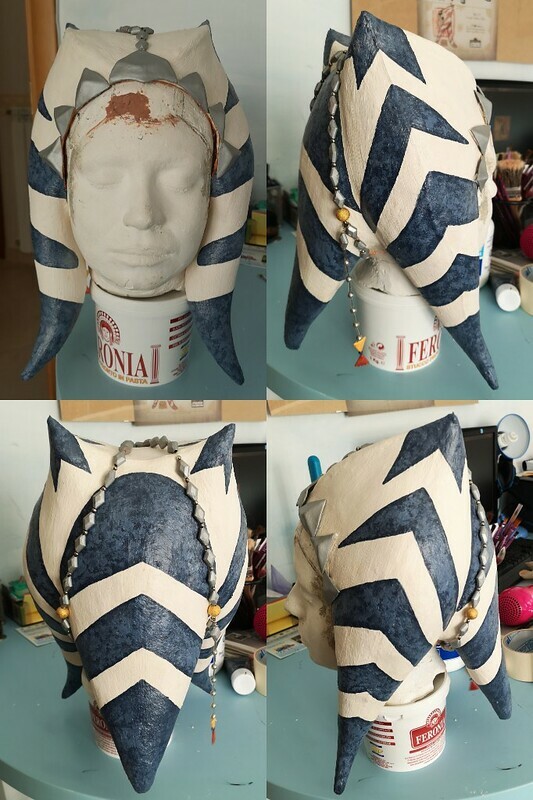 For the closure I used simple velcro on the inside and on the back. He really did a great job following all my directions and my paper pattern with attached the perfect measures for me. 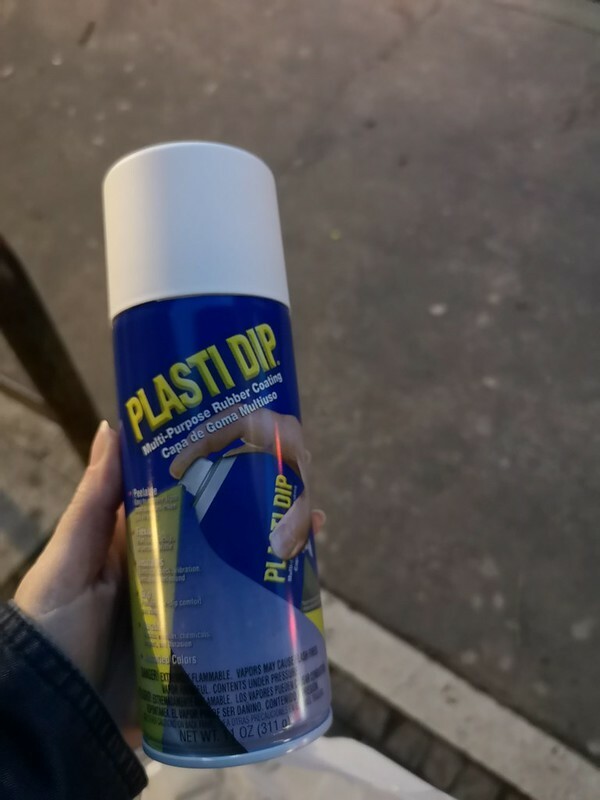 I highly recommend him, also because the price is so cheap for the grat work! 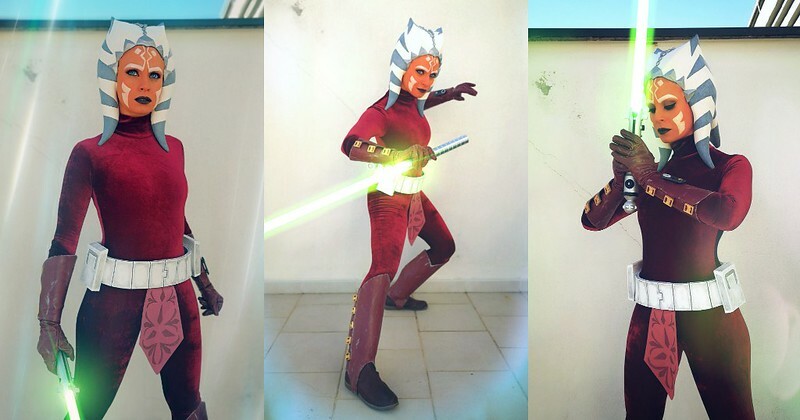 So this is the end, I'm open to any questions for clarification and I hope my English is understandable... May the force be with you! Looks awesome. Great job. 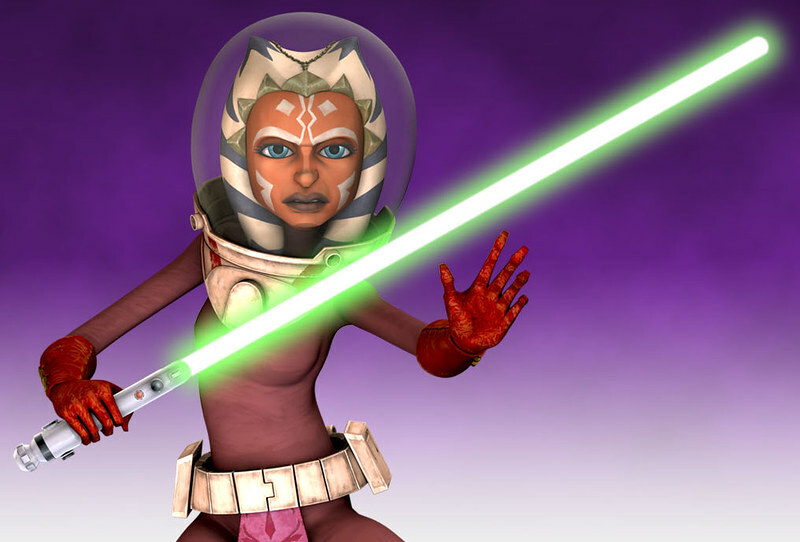 Ahsoka is my favorite clone wars character! Thank you so much! 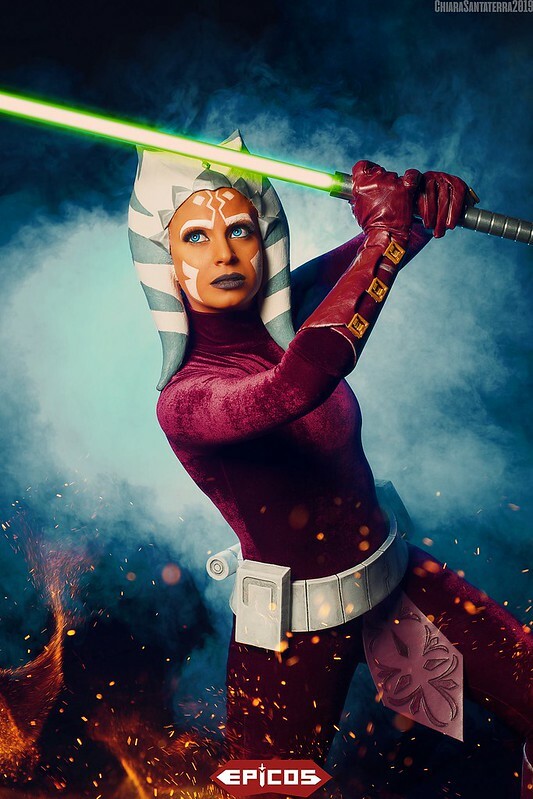 She's my favourite Character in absolute!